Choosing the right product these days can be a little overwhelming with so many options and so much information at our finger tips. But learning how to buy a heart rate monitor doesn’t have to be a complicated process. It really comes down to knowing what types of monitors are available and figuring out what you are really looking for. Heart rate monitors, like everything else these days, come in all kinds of shapes and sizes with different features and qualities. After reading this article, you will be able to confidently compare devices and pick the right one for your needs. 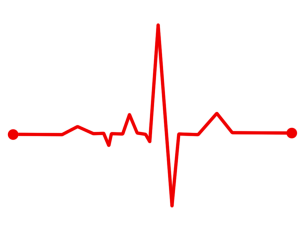 Heart rate monitors (HRMs) have become very popular over the last few years. As a measure of physical exertion, heart rate is the gold standard. It’s a direct, objective measurement of the intensity you are working at. For this reason, HRMs are increasingly popular with folks who are exercising and trying to get in better shape. The technology has also gotten significantly better in regards to accuracy of readings. 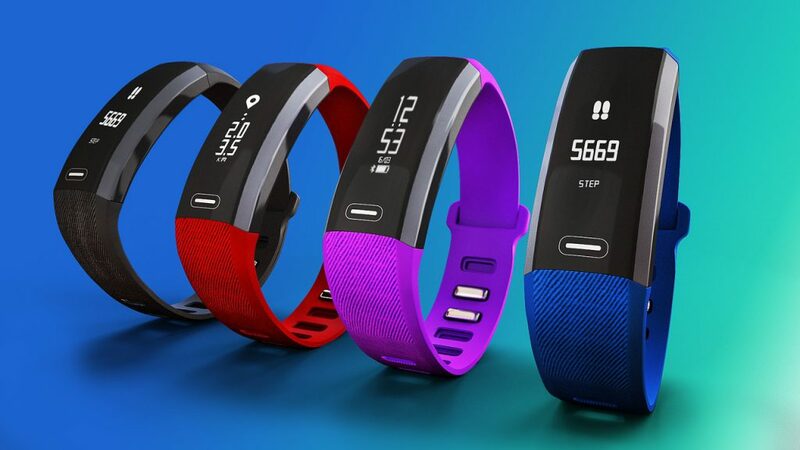 As the market has become filled with different types of monitors, we are seeing devices that can measure all kinds of fitness stats as well. Although there are thousands of different HRMs on the market, they really only fall into 1 of 3 categories: chest strap, watch, or activity tracker. Chest strap monitors use a small device attached to a chest strap to measure your heart rate. This chest strap detects the electrical pulses your heart generates, much like an EKG machine your doctor’s office might use. This makes for a very accurate heart rate reading. The strap needs to be paired with a display screen- most devices are paired with a watch display for easy reading of heart rate values. Others connect to your smart phone via bluetooth. Watch style HRMs are really popular because you don’t have to worry about wearing the chest strap piece. Your heart rate is measured at your wrist by using light. These devices are called optical HRMs. I’m not a physicist or engineer, but the way I understand it the HRM sends a light through your wrist and measures a portion of the light that bounces back. Using a bunch of complicated equations it is then able to determine heart rate. For a much more advanced discussion on optical HRMs, check out this article. Watch HRMs are super convenient, but they aren’t quite as accurate as the chest strap monitors. Watch monitors can be touch style or continuous reading. The touch watches mean you have to touch the screen or push a button to see your heart rate. The continuous reading watches are constantly showing your heart rate without you having to touch anything. I wanted to separate activity trackers from the watch monitors because they offer a lot more features than just heart rate. 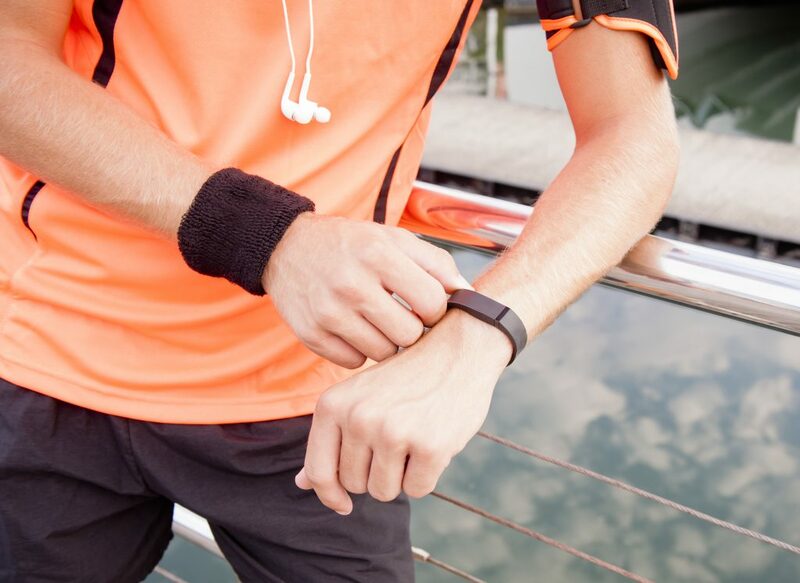 Activity trackers are technically speaking a form of watch HRM. They measure your pulse optically from your wrist. But they also count your steps, count calories, track exercise time, monitor your sleep, and remind you when it’s time to exercise. Plus more! I regress. I don’t mean to insinuate that watch HRMs ONLY track heart rate. Heart rate monitors can also track calories, track distance, guide you in your exercise routines…hmm, I guess it’s kinda hard to draw the line between activity trackers and heart rate monitors. For me, I’m going to consider a device an activity tracker if it is tracking my steps and reminding me to move more. There, I defined it. That said, not all activity trackers are heart rate monitors! Several of the more affordable Fitbits do not track heart rate. The more advanced ones do. Many smart watches can also track heart rate. I didn’t want to devote a whole category to them because they have all the functions of activity trackers, they just add all the smart phone stuff like texting, calls, apps, etc. The first step in choosing a HRM is deciding on whether you want a chest strap or not. Chest straps will offer a more accurate reading, but the technology in optical devices is pretty good now. Does it really matter if your reading is a few beats per min (bpm) off? Is the extra accuracy worth having to wear a strap around your chest? That said, many straps are made of soft fabric now and are pretty comfortable. Things to consider. After thinking about the chest strap/watch decision, you should consider what (if any) other features you would like your HRM to offer. Some of the nicer HRMs will offer GPS technology. This technology allows you to trace your path wherever you are. For example, if you went out for a run in your neighborhood, it would be able to tell you how far you ran. Some will even give you a map readout through their app on your smartphone. HRMs with GPS will also track your distance and pace typically. Some of the more advanced ones will track running analytics like cadence, stride length, and vertical oscillation (your “bounce” as you run). Some will also give you a “bread crumb” trail back to your house to make sure you don’t get lost. GPS features are great for runners interesting in tracking their stats. They really have a lot to offer. If you are a runner, you should check out my guide on the best heart rate monitors for running. It will definitely help you find the right HRM to complement your runs. 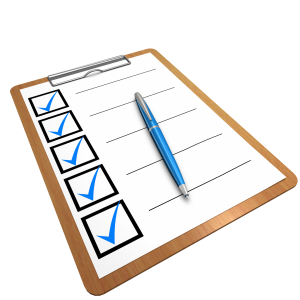 Do you need a HRM that is water proof? Are you looking for a HRM that can track you while you swim? If you are looking for a monitor specifically for swimming, this is a big one. There are many HRMs out there that are water proof, they will mention it in the product description. Chest straps tend to be more accurate in the water too. The optical devices can have a hard time trying to read your pulse under water. There are some HRMs designed specifically for triathlons. They are designed for measuring activity during running, cycling, and swimming. Most HRMs use a wireless technology called ANT+ to communicate with monitors or fitness equipment. Many of the newer ones also use bluetooth. The HRMs that do use bluetooth can easily communicate with your smart devices. Many of the high-end manufacturers also have their own fitness apps. Using a device with bluetooth, you can easily track and store your data on your smart phone through one of these fitness apps. If you are tech savvy and want to keep track of all your data, you should consider finding a device with bluetooth capabilities. A lot of HRMs will tell you what “zone” you are in while you exercise based on your heart rate: fat burn, cardio, etc. They determine your zone based on your heart rate and your estimated max heart rate. The percentage of your max heart rate determines your zone: fat burn tends to be 60-70%, cardio maybe 70-80% for example. This is a handy feature because it makes it easy to quickly know whether your heart rate is high enough for you to be achieving your desired results. If you are exercising to lose weight, this is an easy way to know you are working hard enough. Many of the advanced monitors will have different sport or activity specific modes. These modes allow the HRM to track your data more accurately based on your activity. For example, if you are rowing, you can set your HRM to “rowing” mode and it will track your calories more accurately. Some monitors offer 3 or 4 different modes some offer 80. If you are only interested in cycling or running, you may not need a bunch of extra sports modes. Are you interested in tracking your heart rate while you are sleeping or only for exercise? Some HRMs can track your sleeping habits based on your heart rate. They can give you an estimation of how much time you spent in deep sleep as well as total sleep time. Some will provide your average heart rate during sleep as well. Pretty much all activity trackers also track sleep. Some of the other HRMs do as well. Are you interested in keeping track of your resting heart rate during the day? Or only while you exercise? Many HRMs will keep track of your resting heart rate and then compare it to your heart rate during exercise. Some will also see how long it takes for your heart rate to return to it’s resting value (recovery time) and then use this data as a measure of your fitness. Activity trackers are great for assessing resting heart rate during the day. HRMs more designed for running or exercise are better for determining recovery time. Do I want to measure heart rate throughout the day or only during exercise? Do I care about the extra accuracy a chest strap can offer? Do I want GPS capabilities? Do I want to track my steps/activity during the day as well? Do I want a HRM purely for running? There you have it. You should feel confident now in your search for the right HRM. Think about what you are looking for and find one in your price range that matches your needs. If you still have any doubts or questions, leave a comment and I’ll get back to ya soon.